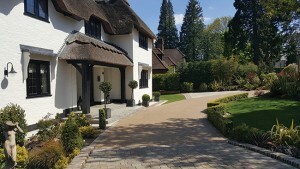 When Emilio Nella and his family moved into their beautiful thatched cottage in prestigious Farnborough Park, he knew the drive needed replacing. The existing resin bound drive was disintegrating, exposing patches of the heavy-grade tarmac laid when the home was built in 1926. “People were getting tar on their shoes and walking it into the house. I ended up having to scrape it off the marble floors,” says Emilio. 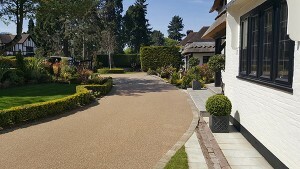 The Nella’s beautifully manicured home and landscaped gardens were being let down by an unsightly and impractical driveway. 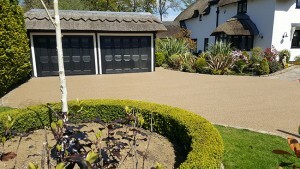 “There were a couple of homes on Farnborough Park where resin bound was being installed and I loved the look. Resin-bound has a lovely sheen,” says Emilio Nella. 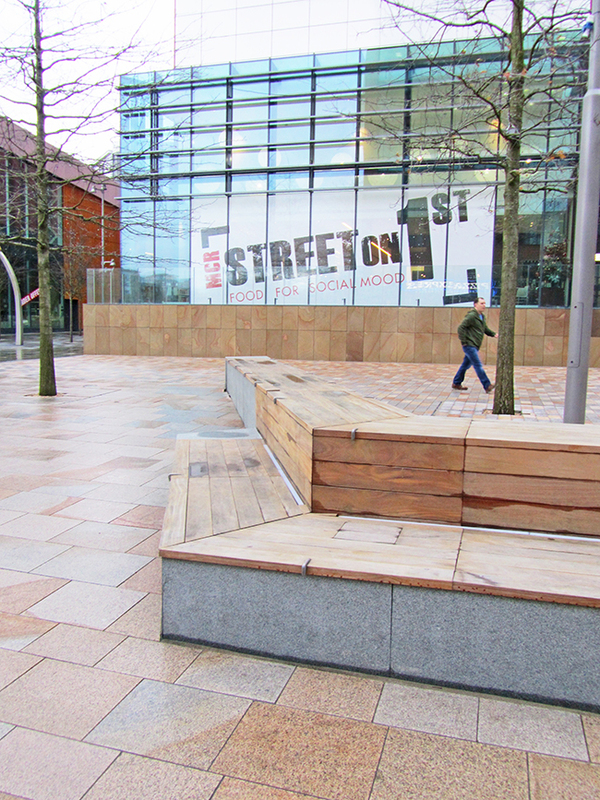 So, after some internet research, he asked four resin bound installers for quotes. Location: Farnborough Park, Orpington, Kent. 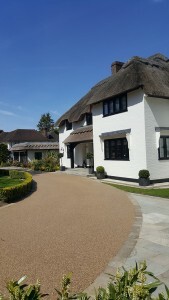 The Nella family is delighted with the look, permeability and low maintenance of their Clearstone resin bound drive. “I love the colour we chose. We’ve even had people taking photographs and knocking on the door to ask about our drive!” says Emilio Nella. 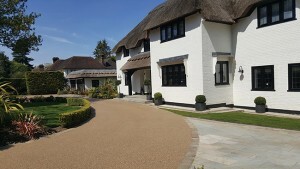 Clearstone resin bound is the finishing touch to the Nella’s stunning home.